I think I have been experiencing Empty Nest Syndrome in varying stages since my youngest child graduated from high school. I home-schooled my kids, so, for a long time, most of my days revolved around them and their schedules. That first Fall, Back-to-School, season after her graduation, I remember feeling at a loss as to what to do with my time. I had feelings of sadness that my kids no longer needed me. I now had a lot of free time on my hands and wasn’t sure how to fill it. After a few months, I found a way to fill that time – I started my own business, Tracy Helps You ! Earlier, I mentioned experiencing Empty Nest Syndrome in stages. By becoming an entrepreneur and learning how to run a small business, I had found some ways to fill the hours of my day. I felt like I was learning to cope with this new phase of life. 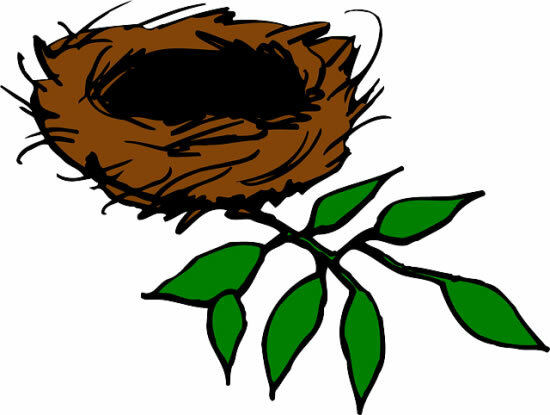 However, since my youngest moved out of the house (the nest) earlier this summer, I feel like I’m experiencing another, different stage of Empty Nest Syndrome – being home alone during the day. Not lonely, I have good friends to spend time with and our cats are very friendly and are great company (yes, I talk to them – don’t judge). While my youngest wasn’t home constantly, I do miss the companionship of having her around – someone coming and going throughout the day. I miss the youthful energy of my young adult children and all their friends that used to be common fixtures in my home. Of course, I missed my oldest when he moved out, but I don’t think I realized the full impact of having grown children yet because I still had one living at home.